Osteoporosis causes no pain or symptoms so how do you know you have it? Changi General Hospital answers this commonly-asked question and more. ​are vital for children, teens, and adults under the age of 30 to build strong bones. These commonly asked questions and answers will help you understand osteoporosis and what you can do to strengthen your bones. 1. How do I know if I have osteoporosis? If you think you may be at risk of developing osteoporosis, consult your doctor. 2. Besides calcium, what are other essential nutrients that are good for bone health? When it comes to healthy bones and preventing osteoporosis, calcium alone is not enough. There are a number of vital nutrients that your body needs for strong bones. The most important of these are magnesium, vitamin D, phosphorus and vitamin K. Other nutrients such as vitamin C and vitamin B12 may also play an important role in bone development. Magnesium is found in nuts, seeds, whole grains, seafood, legumes, tofu and many vegetables. Our skin, when exposed to sunlight, also produces vitamin D, which helps in the absorption of calcium and phosphate. We can also get vitamin D from oily fish such as salmon, mackerel, herring and sardines, as well as red meat and eggs. 3. At what age should we strengthen bone health? Getting enough calcium in your diet is not just important for older people. 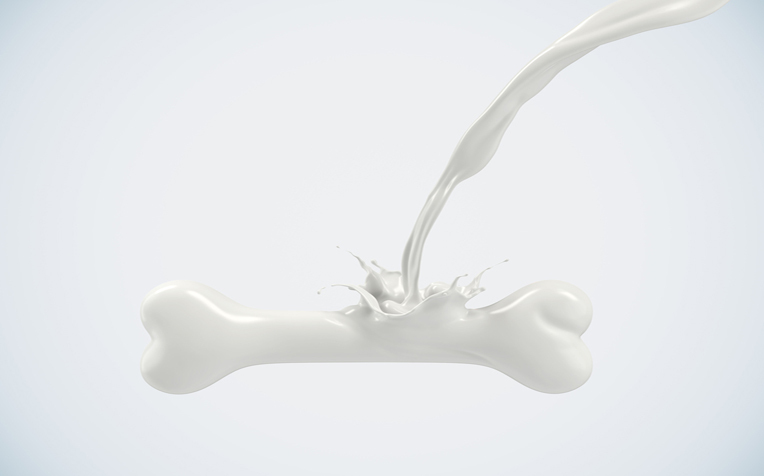 It’s vital for children, teens, and adults under the age of 30 to get enough calcium to build bone mass. Making smart choices now will help you avoid serious bone loss later in life. No matter your age, you can take steps to protect your bones and prevent the onset of osteoporosis. 4. Are there health supplements to boost our calcium intake and strengthen bones necessary as we age? Although diet is the best way to get calcium, calcium supplements may be an option if your diet falls short. Before you consider calcium supplements, be sure you understand how much calcium you need and which type of supplement to choose. Consult your doctor about calcium supplements. 5. How is osteoporosis treated? There is no standard treatment for osteoporosis. Treatment depends on specific needs. Generally, the overall risk of fracture will help the doctor decide on the best course of treatment. In addition to maintaining a healthy lifestyle and participating in regular weight-bearing exercise, some medications can reduce the risk of future fractures from osteoporosis. Read what osteoporosis is and how to identify the risk factors.